It’s good to demand the most of yourself, but often it can go too far. It can start with picturing the best class project, analyzing each social setting or feeling concerned about your appearance. Fairly soon, the expectations become so absurdly high that they’re practically impossible. Energy falls along with grades, and so does your overall sense of self. I’ve been there before, and it’s not the most pleasant ― or constructive ― place to be. So before falling prey to obsessive self-criticism, there are a few things to consider. 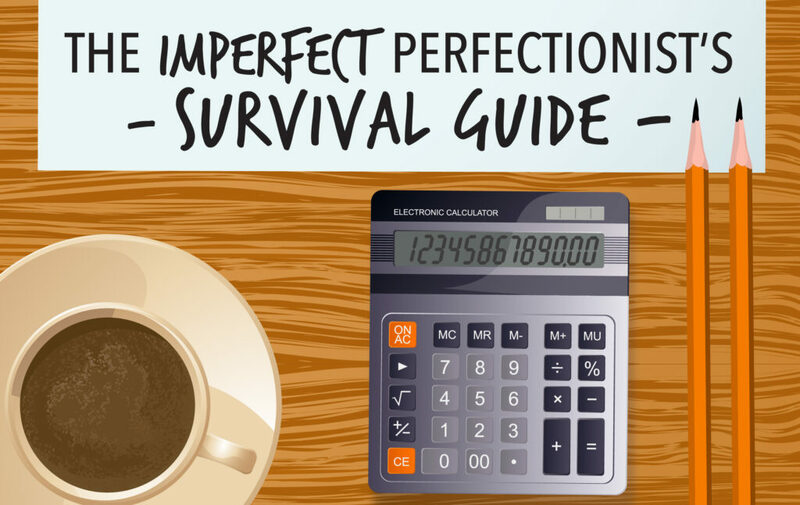 It’s important to classify perfection into two categories: practical and neurotic. The first makes way for growth through celebrating small victories and learning from mistakes, but the other leads to procrastination, dissatisfaction and neglect of basic needs. Most of the time, if the former goes unchecked, the latter will take its place, bringing bouts of frustration, anxiety and anger with it. But it’s never too late to rewire this way of thinking to serve you better. One of the most important lessons I’ve learned has been to envision something and start working on it, whether mapping it out or defining specifically what I want. Usually, the first idea that comes to mind is the best and can always serve as a foundation if you need to build on top of it along the way. I understand how difficult it is to even get to this point, especially for those who feel like they don’t have the skill yet. Don’t be afraid of failure. Find something that motivates you — listen to music, or set up a reward. Another issue is trying to complete the project in one instance, which has oftentimes left me mentally exhausted. Make a list of things you want to do in the time you have, rank them by importance and schedule working times with a few small breaks in between. As long as we’re discussing how to chunk the work, make sure it’s also separated into individual tasks. This means working on various parts of your project at different times, which doesn’t necessarily need to follow a chronological order. Sometimes, the best thing you can do for your health is to not heap so much burden onto yourself. Set aside some extended time, ask for help from people you trust and appreciate what you have. I think it’s good to praise yourself for caring about your success and having the idealism to do something beyond yourself. It will serve you well in higher education and for the rest of your life’s ambitions. But as I said before, too much of a good thing can lead to a kind of sickness, and the best way to work yourself out of a sickness is by taking the remedy in small yet consistent doses. The main idea is that “perfect” doesn’t exist. It might come close in terms of the natural world, but nothing is without its faults. What’s important is to do your best within reason and to appreciate life’s simplicities.